Do you remember Will Ernst? 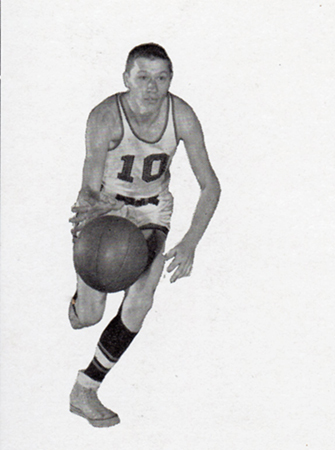 Will Ernst graduated in 1952 and was inducted into the Hall of Fame in 2015. 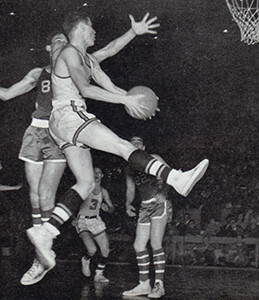 Will Ernst attended Withrow from 1948-1952 and was an extraordinary athlete in both basketball and baseball and went on to a great athletic career at The University of Cincinnati. At Withrow Will received 6 varsity letters: 2 for basketball and 4 for baseball. 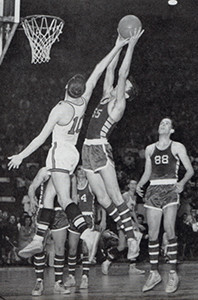 In basketball, Will was one of six selected to the 1952 Cincinnati All-City team and elected captain of the basketball team leading them to the Ohio State Finals. The team lost in the final game to Middletown. In baseball, Will was nearly unhittable as a pitcher and contributed to the baseball team winning the Ohio state championship in 1950. At the University of Cincinnati, Will was outstanding in both basketball and baseball. Will’s college basketball achievements included averaging 12.2 points and 6.2 rebounds per game and set a U.C. record by making 21 consecutive free throws. Two of his teammates were Jack Twyman and Connie Dierking. As a member of U.C.’s baseball program, Will’s pitching skills set the second-best all-time record for Earned Run Average (1.66). Will ranks fourth all-time in career opponent batting average (.209). Upon graduation Will spent one year (1957) in the St. Louis Cardinals minor league system achieving a 12-9 record. Will was a basketball coach at Withrow and Taft and spent 26 years as a teacher, coach, administrator and athletic director in the Hilliard, Ohio school system. Will was married to Phyllis Lamblin, Withrow 1953, for 56 years. Will gave credit for his athletic achievements to the coaching of his father (Charles) and Withrow basketball coach John Huheey. Exceeding his athletic abilities Will was known to all as “the ultimate gentleman” with a gift for mentoring young people. Will passed away on 12/11/2012 in Hilliard, Ohio.